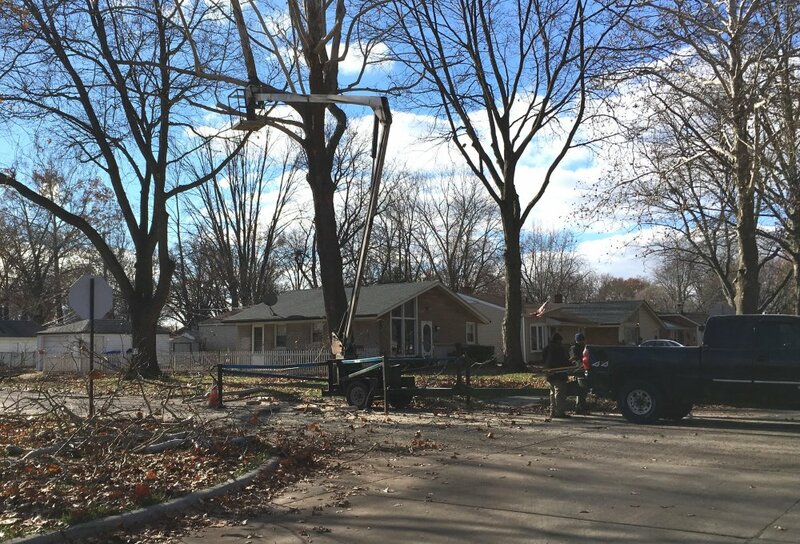 DEARBORN HEIGHTS, MI (12/4/18) – Residents and visitors passing through the TIFA District have probably already noticed work crews trimming trees located in the right-of-way (between the sidewalk and curb) in the area of Annapolis Street between Telegraph Road and Westlake Street. As in previous years, the TIFA Board has again budgeted $25,000 to be spent toward this project in an effort to help the city meet its goal of maintaining a 5-year tree trimming cycle. Each year, a section of the TIFA District is completed for as much as the funds will cover, then continue in future years until all the trees needing to be trimmed have been addressed. This is done in an effort to provide for safety and adequate visibility along our neighborhood streets. This project was done in cooperation with and supervised by the city’s Department of Public Works, utilizing the city’s tree trimming contractor.